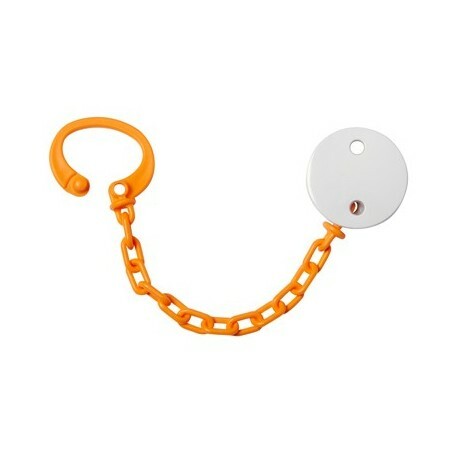 Having a chain for your dummy prevents it from falling to the floor and getting dirty. You use it simply by clipping it onto the child’s clothes. The name is permanently engraved onto the clip by UV laser.